The authors of the bill pointed out that "residents of new Russian regions, including Crimean Tatars, were provided with the rights equal to those of other subjects of the Russian Empire"
MOSCOW, August 3. /TASS/. 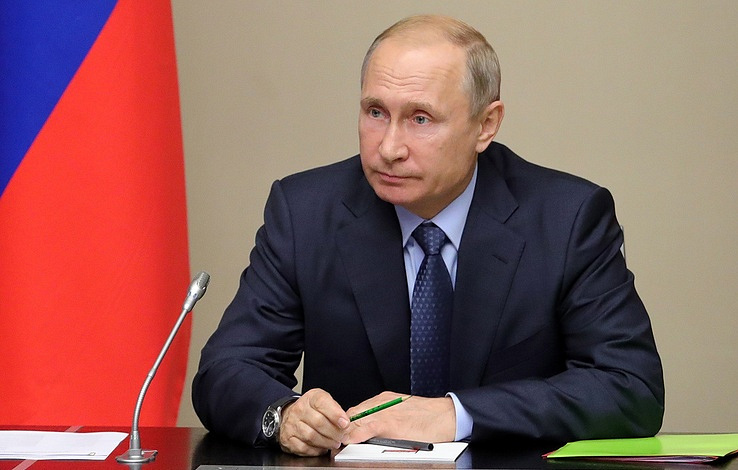 Russian President Vladimir Putin has signed a law setting April 19 as a new Russian public holiday - Day of Accession of Crimea, Taman and Kuban to the Russian Empire (1783), the document was published on the official portal of legal information on Friday. The law was passed by both houses of the Russian parliament - the State Duma and Federation Council - on July 24 and July 28 respectively. Explanatory notes to the document said earlier that "on April 19, 1783, Crimea entered under the protection of the Russian Empire at the request of its residents suffering from wars, which became a legitimate form of Crimea’s incorporation into Russia." The authors of the bill pointed out that "residents of new Russian regions, including Crimean Tatars, were provided with the rights equal to those of other subjects of the Russian Empire. Among them were the right to protection of individuals and property, the right to freedom of religion and to protection of houses of worship." "Russia’s new public holiday confirms continuity of incorporation of Crimea and Sevastopol as part of the Russian state. It will allow focusing attention on a watershed decision for Russia, namely the accession of Crimea, Taman and Kuban to the Russian Empire and the part and role of Great Empress Catherine II in that milestone event. In addition, it will demonstrate historical justifiability and legitimacy of the referendum on Crimea’s reunification with Russia," the explanatory note said. Catherine II, who is also known as Catherine the Great, signed a manifesto on incorporation of Crimea, the Taman Peninsula and the Kuban River area in the Russian Empire on April 19, 1783. The city of Sevastopol, which would become the main base of the newly created Russian Black Sea Fleet somewhat later, was founded the same year. On 16 March 2014, more than 82% of Crimea’s electorate took part in the referendum, when 96.77% in the Republic of Crimea and 95.6% in the Black Sea naval port of Sevastopol backed splitting from Ukraine and spoke in favor of reuniting with Russia. On March 18, President Vladimir Putin signed the treaty on Crimea’s reunification with Russia. Russia’s Federal Assembly (parliament) approved the document on March 21. Ukraine refused to recognize the referendum was legitimate. In July 2014, the European Union and the US imposed sanctions against Crimea and Russia and have repeatedly extended and expanded them.